As your local Lethbridge plumbers, we will provide you with the best plumbing services available! At Action Auger, we provide you with the best plumbing services available. With straightforward pricing and knowledgeable plumbing technicians, we make sure that your experience with us is a great one! Whatever your plumbing needs, our Lethbridge Plumbers are here to help you 24/7. "Overall, I was satisfied with the water softener. They did a really good job with the installation. They were very polite and friendly. And they did the job in a timely manner." Anywhere in Lethbridge and the surrounding community, we have certified professional plumbers waiting to help. This includes Blairmore, Cardston, Claresholm, Coleman, Crowsnest Pass, Fort Macleod, Lethbridge, Magrath, Naton, Magrath, Picture Butte, Pincher Creek, Taber and Vulcan. Give us a call! In order to protect buildings from flood and other water damage, some basements have a device called a sump pump installed. As the name suggests, a sump pump directs water away from the structure to a place – like a dry well or a city’s storm sewers – where it won’t cause problems. In the past, sump pumps could be tied to a municipality’s sanitary sewer system, but this is no longer recognized as good practice, and some cities and towns now even have laws against this to prevent overload on these vital lines. Before choosing either for or against installing a sump pump in your home, start by reviewing your local municipal laws. 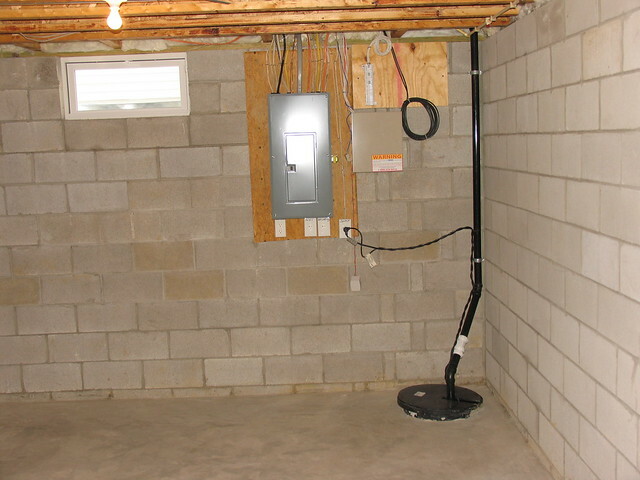 Some cities and towns require homes to be installed with a sump pump while others mandate sump pump installation based on location within town. Depending on your local laws, you may be eligible to receive tax incentives to have a sump pump installed. If no laws requiring a sump pump exist where you live but you feel installing one would be beneficial to your property investment, we recommend that you first get in touch with an expert who can determine information about your local water table levels and best practice for your location. A sump pump may be something to look into if you have noticed mould growth or a musty smell coming from your basement, or if you are seeing cracking in your foundation. It is important to keep in mind that while sump pumps may be helpful in mitigating damage, if there is no reliable backup system in place, they may not function during a disaster. With years of experience in installing and servicing sump pumps throughout Alberta, we at Action Auger are ready and willing to assist you – 24 hours a day. Give us a call! © Copyright 2019 by Action Auger Lethbridge Plumbing.